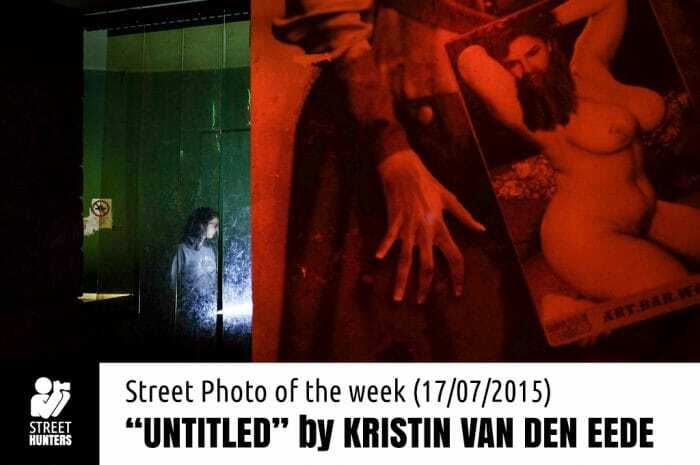 Home Tags Posts tagged with "Street Photographer"
Kristin Van den Eede is a Belgian Street Photographer who loves experimenting with geometric patterns, silhouettes and reflections. She prefers to isolate her subjects in her work. Her photography is surreal, full of meaning and messages, most of them humorous messages. She is an ambitious Street Photographer always trying to push her limits to the edge. This is something you can sense in her photography if you go through her photos in a chronological order starting from her early work to her most recent. 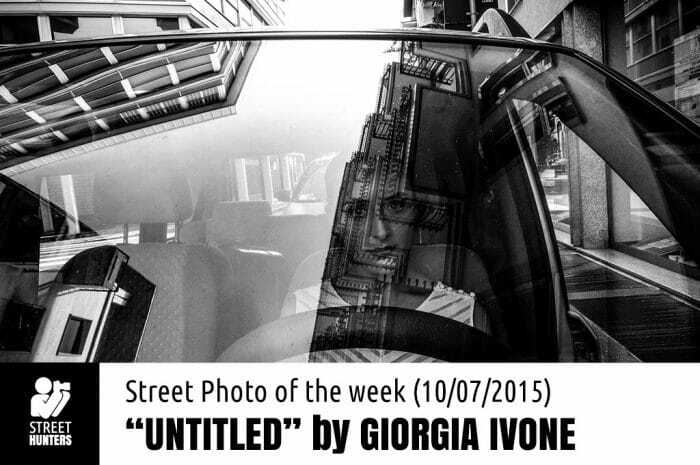 As do many Street Photographers she gets inspired by music and other great photographers of our time. A special inspiration for her is her partner in art and life Kristof Vande Velde, a brilliant Street Photographer in his own right. I have known Giorgia Ivone for nearly over a year now. We met on line in the SHRC, the Street Hunters Readers Community on Google Plus. She is a very kind and enthusiastic person and clearly very passionate about Street Photography. She is Italian, currently living in Varese, Italy. She shoots in black and white most of the time and loves to capture the beauty of her country’s streets and share it on the web. During the time I have known Giorgia, her skills have only got better and her passion for the art has only got stronger. Her work has a quality that I admire and I always love to look at her photos in detail. She understands light and shadow and she always finds surprisingly creative ways to compose her photos. This quality is something that other people recognise too because I have noticed that her work gets rightfully shared and published online. I highly recommend you check out her work and connect with her on Social Media. You will not be disappointed. 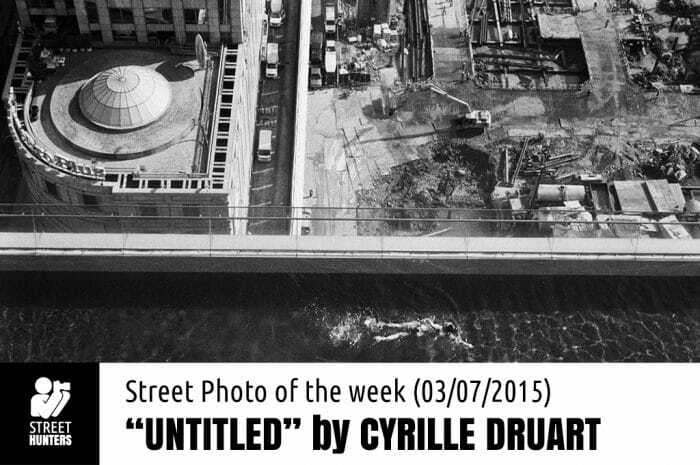 Cyrille Druart is a French Street Photographer who was born in Paris and has been shooting in the streets since he was 23 years old. He enjoys traveling and taking photos in large cities, watching people interact with each other and their environment. He likes looking closely at their behaviours. At the same time he is intrigued by isolationism when presented in contrast to urban environments. Cyrille is especially interested in women and fashionable people. He shoots mostly in black & white and has a taste for highly contrasted, dark looking images. Originally a designer, he is creative and observant of elements that help him make interesting compositions. 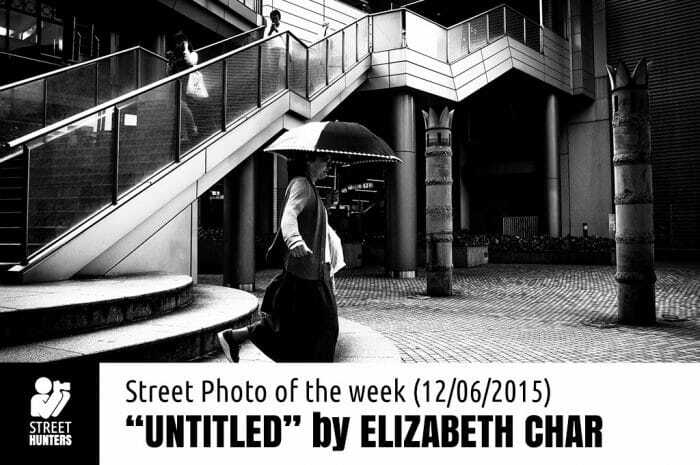 Elizabeth Char is a Street Photographer from Paris, France. She is a member of the Streethunters.net Flickr group. She gets inspiration from her travels and from watching many films. Elizabeth is influenced by the work of photographers such as Marc Riboud, Sergio Larrain, Manuel Álvarez Bravo, HCB and the alternative Daido Moriyama. She is naturally curious about things and feels that she needs to document life around her. Elizabeth has been shooting in the streets since 2011 and hasn’t stopped since. She prefers to shoot in Black & White and focuses on light, expressions, contrast and shapes. Elizabeth is a photographer that doesn’t rely on her gear so much. She will shoot with almost anything and HAS shot with almost everything, including a Pentax Optio, a Leica D Lux 4, A Fujifilm X-Pro1 and a Ricoh GR. She is a wide angle shooter and loves to try out various POVs. 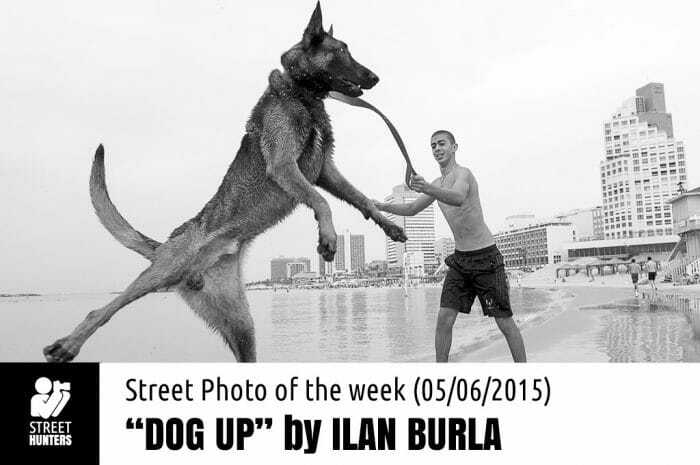 Ilan Burla is a member of the Streethunters.net Readers Flickr group and a regular poster. All I know about him is that he is from Israel and that his photography has something that attracts my eye. I tried searching the web for more information about him but unfortunately I couldn’t find much. When visiting his facebook page I noticed that he is friends with two previously featured Israeli Street Photographers. Ilan Ben Yehuda and Gabi Ben Avraham, both members of the APF Collective. Ilan, if you are reading this and would like to provide us with more information about yourself, please visit our Contact Page and shoot us an email or comment in the comments below. Ilan is a fanatic photographer that works as a CG Animator. He loves street photography and for that reason always carries a camera around with him at all times. He believes in capturing small fragmets of life that tell a story from his own point of view. He longs for more time for street photography but his family and full time job leave him less time on his hands than he would like. He enjoyes studying talented street photographers work. From the older, established photographers to the newer talents that are appearing in Social Media. 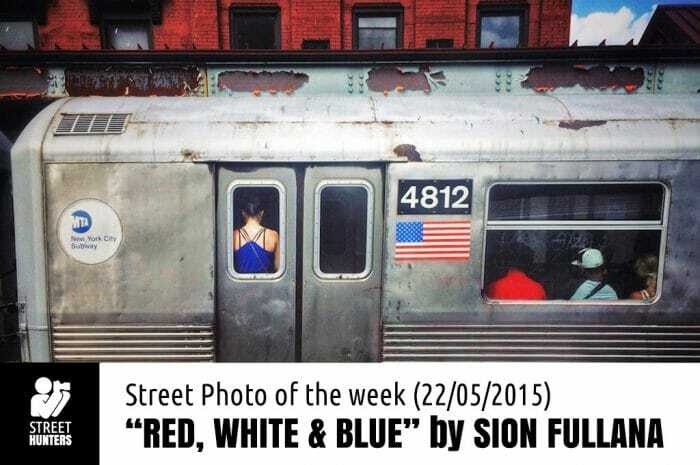 Sion Fullana is a Street Photographer originally from Spain that is now living in New York City. He has had his work featured many times in International Exhibitions, Blogs, Magazines, TV and more. He teaches online workshops on Street Photography, Portraiture and the concept of “Documenting Your World” using journalistic and documentary techniques. Sion is a professional photographer who shoots commercial work for the entertainment industry, he shoots portraits, fashion, events and more. 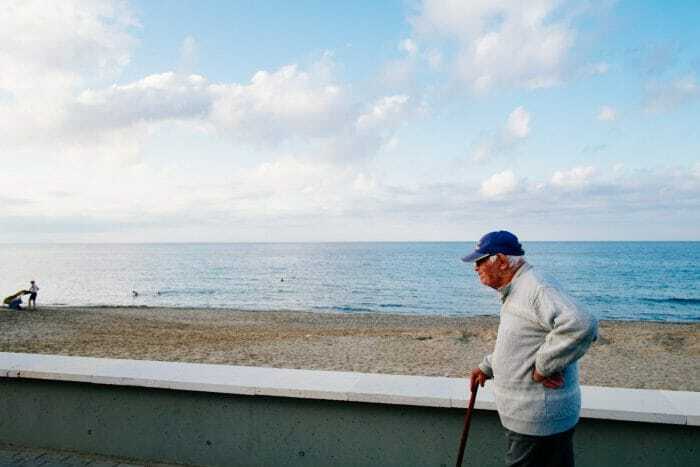 On another level, his personal work includes many photo series and collections that are focused mainly on Street Photography, Photojournalism and Documentary Photography. His Street Photography is striking, vibrant and in most cases surreal. Even though he shares both B&W and colour photographs, he manages to do so harmoniously. 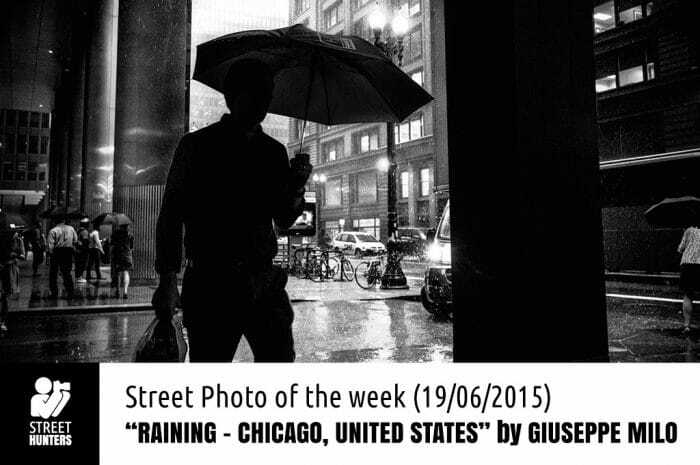 It is well worth your time to jump into his Street Photography portfolio and check it out for yourself. 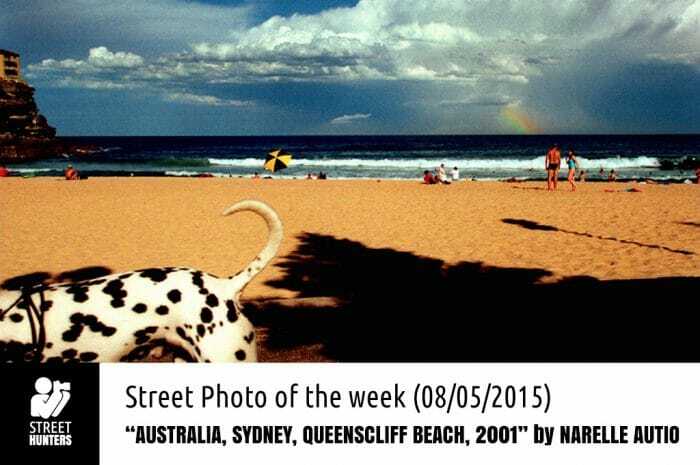 Narelle Autio is a very talented Street Photographer currently based in Sydney, Australia. She is originally from Adelaide in South Australia. She studied Visual Arts before moving to England in the mid 90’s where she worked for many UK national newspapers and Australia’s News Limited London bureau. After remaining in Europe for almost 3 years, she decided to return to Australia to work for the Sydney Morning Herald. Narelle has published a book called ‘The Seventh Wave’ that shows Australian beach culture life from underwater in black and white. She collaborated with fellow Australian photographer Trent Parke for this project. She has had her work exhibited, has won prizes and is considered as one of the 50 most collectable Australian artists. Even though her book ‘The Seventh Wave’ is in B&W, she shines in colour photography. The work she shares as a street shooter is unique because of the way she uses colour and light in her work. It makes her photography not only distinctive, but dreamy, surreal, magnificent, colourful and stunning. 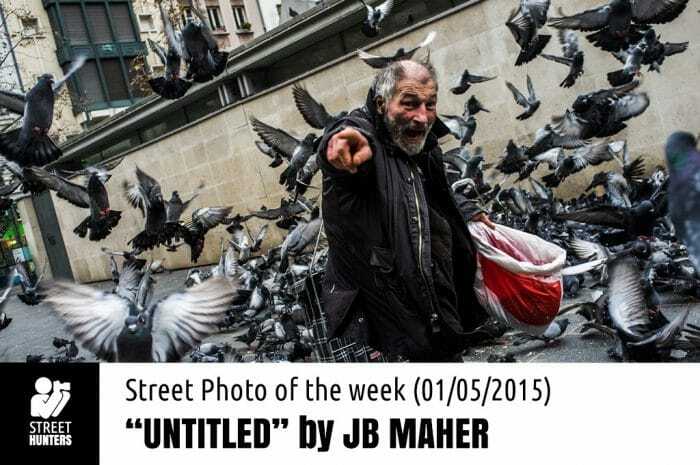 JB Maher is a talented Street Photographer based in Dublin, Ireland, originally from Co Meath, Ireland. I discovered JB’s work while scanning through the images of the photographers in the Burn My Eye collective. It turns out he is a member of that group of expressive Street Photographers which steadily produce great work.